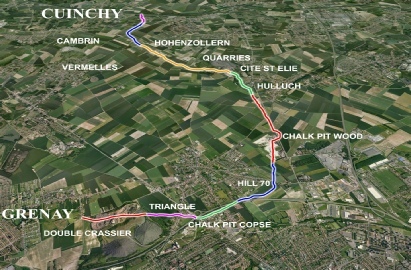 In 2010, as part of a multi disciplinary contribution to the 2014-18 commemoration of the First World War the Durand Group, one of the world's leading authorities on subterranean military activity, chose the Loos Salient as its key Western Front area of study for an ongoing underground investigative research and interpretation programme. What many people don't really understand about the First World War, for all its emphasis on trenches, mud and casualties, is the hidden face of battle; they tend only to think of what they can see. But these now dwindling scars on the landscape are simply a visible manifestation of a much more complex engineering war that, by the end of 1915, had moved almost completely underground. The infantry lived underground. They moved to and from the rear lines underground. Deeper still below them were the tunnellers, who fought the enemy, sometimes hand-to-hand, underground. The Durand Group's mission is to fully explain to the general public the fundamental engineering concepts of LIVING, MOVING and FIGHTING, but in an underground context, together with its unique significance during the First World War. What makes the Loos Salient particularly significant for the Durand Group? Firstly the it has all the hallmarks of a mature conflict archaeology site - potential enough to paint a complete picture of the underground war evolving as it did from a relatively ad hoc, tactical response to early German initiatives in 1915, through gradual dominance of the deep mine fighting during 1916, to the strategic defence-in-depth infantry tunnel and subway systems that evolved during later operations of 1917-18 with their almost medieval measures and countermeasures. Secondly, the Group's continued investigative work since 2010 commands much respect within the local communities - the farmers, landowners, local officials and historians - who have fully endorsed our work thus far, have to live with the legacy of the underground war on a day to day basis and who have looked to the Group to help interpret the story further over recent commemorations. Thirdly, perhaps uniquely, in the untold story of the battles for the Loos Salient, our story involves Canadian Infantry under British Army command utilising Australian tunnelling expertise against their German counterparts in liberation of French communities. As such it is a truly international story. of warfare within a 20th century military environment - the Siege! "..the Black Country of France, scattered with mining villages in which every house was a machine-gun fort, with slag heaps and pit-heads which were formidable redoubts, with trenches and barbed wire and brick-stacks, and quarries, organized for defence in siege-warfare, cavalry might as well have ridden through hell with hope of "exploiting" success.."
Located between Bethune in the north and the City of lens to the south in the Pas de Calais region of France, Loos-en-Gohelle is today a sleepy town. It wasn't so sleepy in 1915 as the British prepared for their most ambitious battle to date on the Western Front. 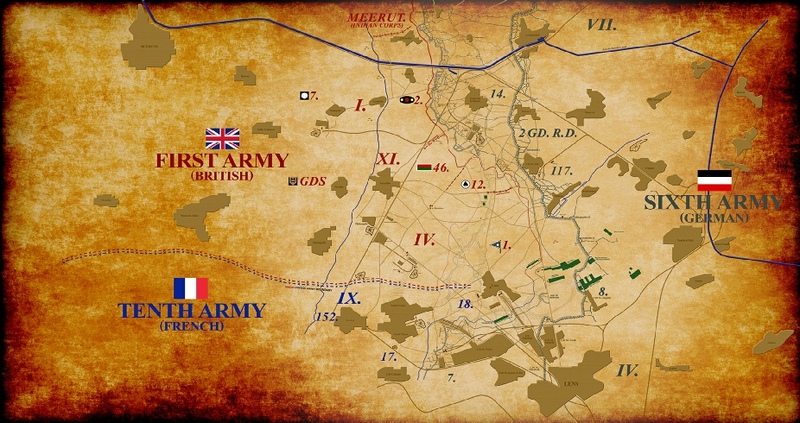 The actual Battle of Loos, fought between 25th September and 13th October 1915, achieved limited success in terms of ground taken but did not fulfil its primary objectives - to aid break through of the Artois, re-establish a war of movement and in the process take re-possession of several of the important mining assets in the region including Lens. What it did do was to establish a vulnerable salient into which the Germans could direct all their artillery resources with impunity for the next two years,reducing many of the local communities to rubble and destroying what remaining mining infrastructure still existed. It also inflicted 60,000 casualties in three weeks on a British Army that could ill afford the losses among them Jack Kipling, son of Rudyard and Felix Bowes Lyon, brother of the Queen Mother. It is also significant for one other key reason: It resulted in the eventual sacking of the BEF Commander in Chief, Field Marshal Sir John French and the promotion of his immediate subordinate General Sir Douglas Haig. "To the north of Lens near Hulluch, where I went through the workings with Sanderson, the whole defence of the front appears to be underground. The infantry garrison lives underground, trench mortars and their crews are underground. The machine guns are underground and for a mile behind the front line the communication trenches are underground. The light railway delivers stores to the gun emplacements by an even lighter railway - underground!" After three years of research and investigation the Durand Group can now confirm that it has gained unprecedented access into the Deep Deep (DD) levels of the 'Copse' mining system south of the village of Loos-en-Gohelle - to a depth of thirty metres and an extent of over a kilometre. It has also recently accessed the whole of the Hulluch/St Elie tunnel system further north - and is now in a unique position to continue interpreting this and other mining sectors in the immediate vicinity.  Digging in - Living, Moving and Fighting under the Loos Salient - an introduction.  Geological and geographical constraints in the Loos salient from Double Crassier to Cuinchy.  Conflict archaeology issues in urban and semi-urban environments - Apiaries, Hospitals, Prisons and Supermarkets.  Fighting for French coal - the importance of the Lens coalfields to the French war effort and their rescue afterwards.  Technological innovation and tactics in British Army tunnelling companies 1915-18.  Profile: 3rd Australian Tunnelling Company - a bunch of brigands and anarchists!  Spying for the Kaiser - the extraordinary story of Fosse 8.  Powering the tunnels - The role of the Alphabetical Company and the largest power plant on the western front.  Profile: 2nd Lt F Howkins 253 Coy RE by his grandson.  Art and Architecture in Subterranean Warfare.  The Myth of the Invincible - 170 Coy at the Hohenzollern Redoubt.  Reporting the underground war - Phillip Gibbs, Charles Bean and Photographic reproductions of Hulluch.  Profile: Capt F D Gurrey 173 Coy RE - Double Crassier, by his grandson.  Tunnel graffiti in the Hulluch St Elie System.  The 2nd Battle of Loos - the August 1917 Canadian fight for Hill 70.  Backs to the Wall - Defensive preparations in the Loos Salient for the 1918 German Spring Offensive that went elsewhere.  The Durand Group and all who are able to - walking the Western Front, a kilometre - underground! 1. 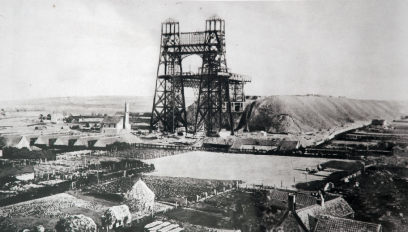 "The Battle of Loos - Fighting for the French Coalfields"